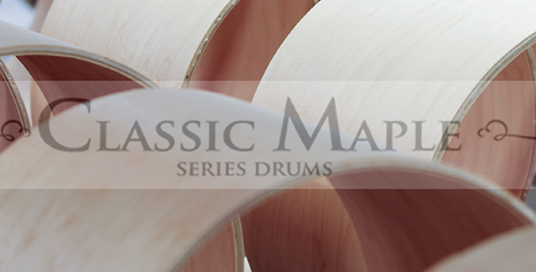 Ludwig Classic Maple Exotic drums offer a bold new look. Shells interiors are finished in satin while exteriors are finished in ultra high gloss. 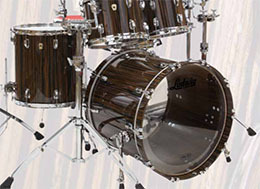 Six stunning exotic woods are offered including Makore Gloss, Teak Gloss, Bubinga Gloss, Macassar Ebony, Fumed Eucalyptus and Bird's-eye Maple. are finished interiors are satin. Configure you own Ludwig Classic Maple Components to create the Classic Maple Drum Kit and standard color you've Always Wanted. Please call us to configure your Ludwig Classic Maple Component Kit or send us your component list for our best price.